Fusion celebrated the stories of the LGBT Black, Asian and ethnic minority community with conversations with LGBT media professionals, interspersed with LGBT themed short films. Held on 19th October 2014 the event was hosted Queer Media and supported by UK Black Pride. The aim was to inspire positive BAME LGBT stories, role models and promote their visibility in the media as part of Black History Month. Fusion asked can storytelling really empower people to create positive social change within their community? 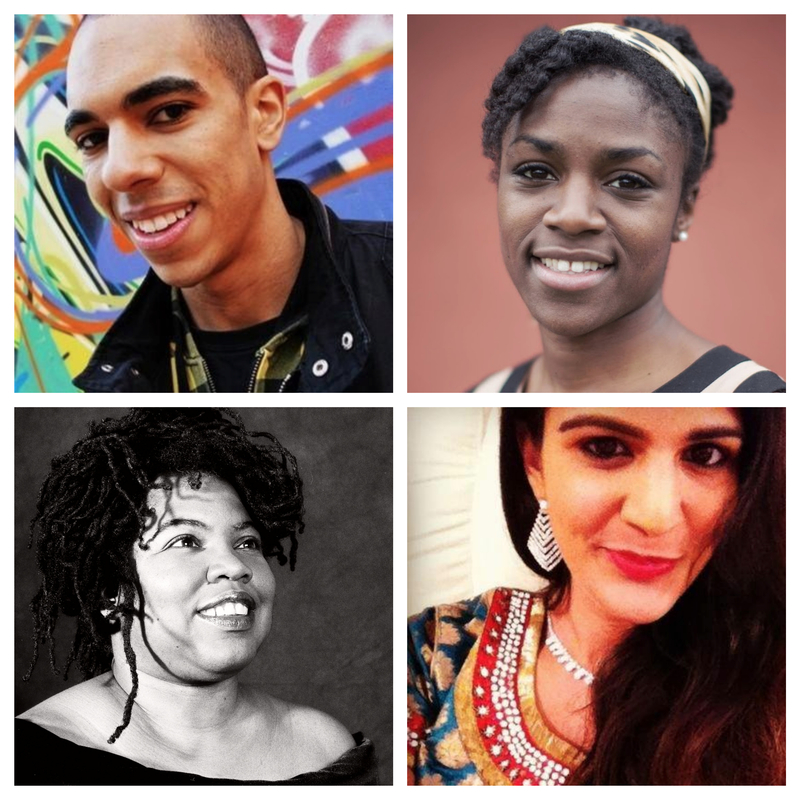 The four hosts for Fusion were (clockwise from top left) Pink News political editor Scott Roberts, freelance sports journalist Jessica Creighton, Aashi Gahlot editor-in-chief and founder of website shorlgbtq.com, and poet, playwright and director Cheryl Martin. The event was a chat show sofa style format inspired by TED talks, where the hosts introduced short films and interviewed the guests, who have diverse media backgrounds such as; film, TV, radio, news, arts, performance about their career and their intersectionality. Fusion followed the success earlier in 2014 of the Queer Media Festival held on 7th February 2014, on the day the Sochi Games opened at MediaCityUK. Fusion guests included: Asif Quraishi (UK’s first Muslim drag queen), Eiynah (author of My Chacha is Gay) via Skype, Rudy Katochi (Multimedia journalist for Press Association), Bobby Tiwana (live event producer), Mike Buonaiuto (filmmaker), Aziz Rachid (Head of BBC North West), Phyll Opoku-Gyimah (Director & Co-Founder of UK Black Pride), Mobeen Azbar (journalist and film maker) and Rebecca Swarray (performer, singer and actor). Children’s book author My Chacha Is Gay and women’s rights campaigner Eiynah via Skype, alongside journalist and film maker Mobeen Azhar and the UK’s first Muslim drag queen Asif Quraishi in-conversation with Jessica Creighton and Scott Roberts. Rebecca Swarray, performer, actor and singer, with a background teaching performing arts in-conversation with Jessica Creighton and Scott Roberts.